Mr. Jonathan Harvey has served as an Assistant Solicitor in the Columbia/Richland County office of the Fifth Judicial Circuit Solicitor and as an Assistant Attorney General in the South Carolina Attorney General's Office. He has defended cases in all criminal trial courts. Mr. Harvey has been in private practice in Columbia, South Carolina since 1986, having a strong emphasis on criminal matters. In private practice, he has appeared in every type of criminal trial court in South Carolina, including Family Court, Magistrate Court, Circuit/General Sessions Court, and U.S. District Court. He was also a participant in the longest criminal trial in the U.S. District Court of South Carolina. Mr. Harvey is dedicated to providing zealous representation of clients to ensure each receives the best possible representation. 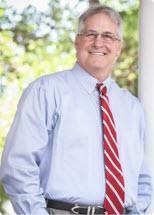 As his private practice continues into its third decade, Mr. Harvey continues to be an advocate for his clients. Monday to Friday 09:00 A.M. - 05:30 P.M.